Pair of torcheres in solid brass from the 1970s. Completely restored. 1970s Italian brass floor lamp by Tommaso Barbi with three leaves / lights on a circular base. Base diameter: 26.5". 1970s Joe Colombo metal floor lamp. Pair of 1970s brass candleholders with 11 cups. 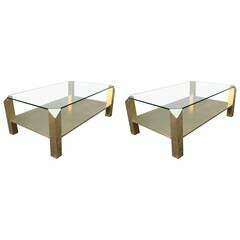 Pair of 1970s rectangular brass coffee tables with glass top and brass shelf. Height of brass shelf: 6.25". 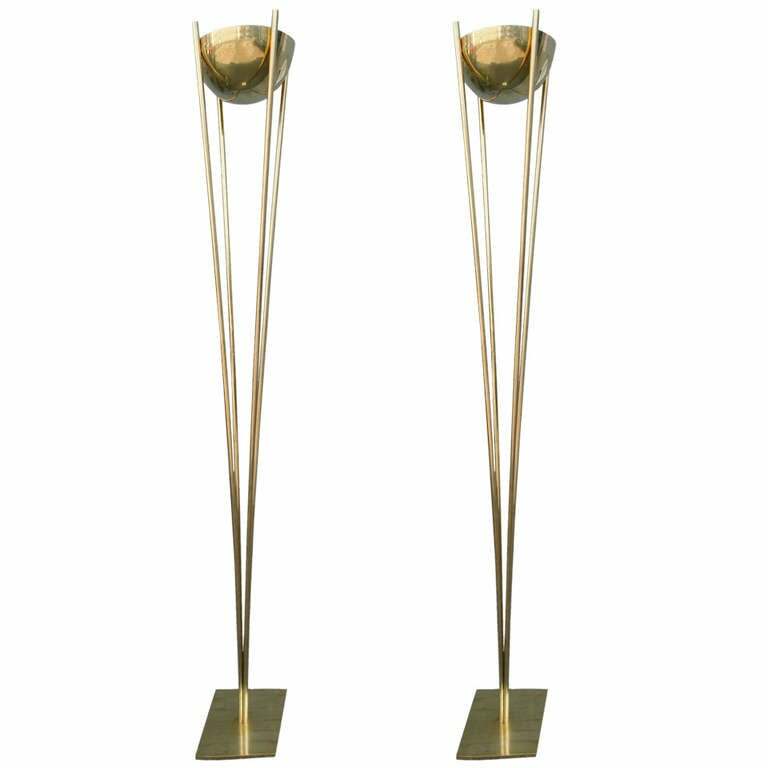 Pair of Brass Torchere floor lamps circa 1970s. Slender and streamlined with a sleek, minimalist design. Vintage stainless steel column torcher floor lamp on square black base, USA, 1970s. Three available, priced individually. A brass floor lamp, on a tripod base, with a bespoke card tapered shade. France, circa 1970.